At the Pärnu Festival on Estonia’s Baltic coast, the "kingdom" of the Järvi family: a musical dynasty that has guaranteed the perfect balance between tradition and the future … To summarise, a rich choice and very high standard, which signals Pärnu as one of the few summer festivals of real quality. There is no doubt, however, that the most anticipated concerts of the last days of the festival were those directed by Paavo with the main orchestra. The first featured Nielsen’s Second Symphony, with an execution so compact, taut and clear it made the score even more interesting than it is on paper. And the charming Victoria Mullova, who joined Järvi for a performance of Sibelius’ Violin Concerto - anti-romantic, cerebral, distilled into sound, with the personality and beauty reserved only for great artists … To conclude a sparkling Shostakovich Sixth Symphony in which the lesson of the great Russian directors was more noticeable than ever, and two encores, the second of which - Sibelius’ Valse Triste – vibrated with an almost agonizing intensity. Pärnu, Estonia’s summer capital, is tucked within a huge natural harbour on the Baltic country's southern coast. Mysteriously unknown to British holiday-makers but a firm favourite with the Finns (and, once upon a time, violinist David Oistrakh and composer Dmitri Shostakovich), the city boasts pristine white beaches with a gloriously safe, swimmable patch of sea, a delightful mix of old and new architecture, lush wooded spaces, superb restaurants and more spas than you could shake a stick at. Oh, and a truly wonderful music festival that’s starting at last to make a name for itself outside Estonia. 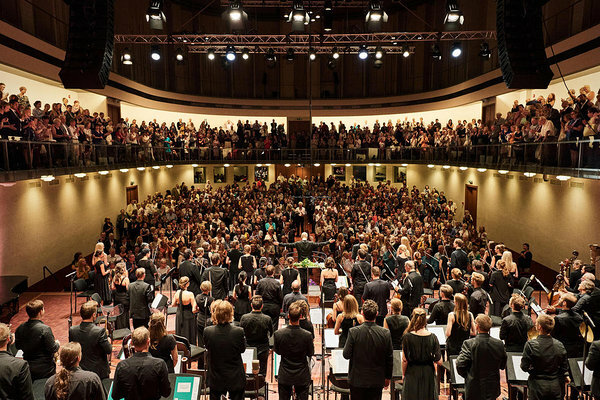 Where would you go to hear the most electrifying and collegial orchestral playing in the world? It used to be Lucerne while Claudio Abbado was alive. Now that the Lucerne Festival Orchestra has become like any classy superband, the answer is Pärnu in the south of Estonia. … The jewel in the Pärnu festival crown is the heady mix of top western and Estonian players in what after five years has now become the Estonian Festival Orchestra ... I have never, anywhere, heard an orchestral unison that bore through the body like this one at the start (of Shostakovich’s Sixth Symphony). Climaxes raised the roof, but precisely; the maverick structure whereby two far from light scherzos follow one long slow movement struck home. 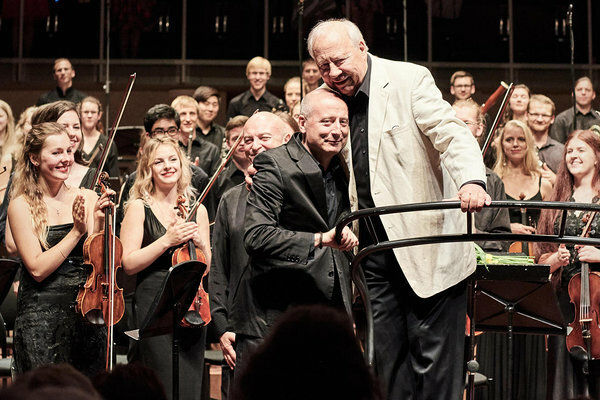 With the Pärnu Music Festival Paavo Järvi creates competition for Europe and, from 2017, he will start to export a part of it. This is bound to cause a stir on the European festival scene. This is highly concentrated music making (from the Estonian Festival Orchestra), where all the details are worked out: the ping pong of accents between violins and horns, antiphons between the woodwind groups, targeted focus curves in the second violins. Nothing is sweeping, nothing sleepy and nothing washed away. As Iván Fischer did with the Budapest Festival Orchestra and Claudio Abbado with the Lucerne Festival Orchestra, Paavo Järvi has also chosen the best musicians from orchestras around the world with which he has worked … Järvi could go into open competition with Lucerne and Verbier. For this purpose he could have extended – even expanded - the festival time and programme in Pärnu with more courses and concerts. But he does not want this … "I need this week for high concentration in Pärnu. I have experienced so many festivals that have been seduced by their success to increase their growth. They continue to produce good music, but their character is lost. " There isn’t a hint of a hothouse environment on stage – these are simply musicians having the time of their lives, no small thanks to the inspiring Paavo Järvi himself. With one half composed from Estonian musicians and the other half from from artists Paavo met during his successful conducting career, the festival’s orchestra is now ready to take flight and start touring Europe. From the "Cinderella" of the Baltic Sea, the Estonian town of Pärnu developed into the bathing city of the high society. For artists such as David Oistrakh or Dimiti Shostakovich it was a health resort with a window to the West. Through this window you find the Järvi family, father Neeme and Paavo son, internationally acclaimed conductors. And out of the conducting course that they held together, came an international festival – here in this relaxed, small and sleepy town. What many festivals dream of achieving is here self-evident. After the concerts everyone gets together – enthusiastic musicians and public alike – and, whilst no pub in the world could fit such a large crowd, the Passion Café in the heart of the old town is packed both inside and out till long after midnight creating a friendly, low key festival hub .